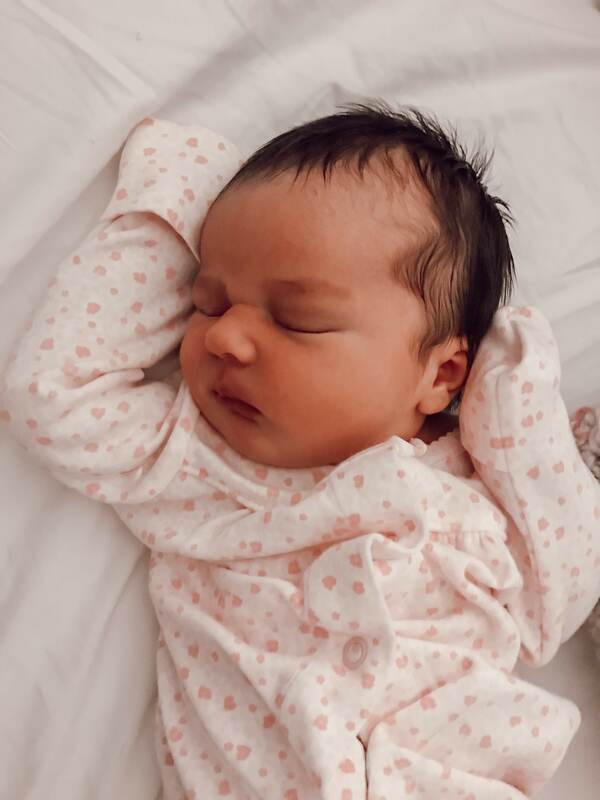 Annie Bryant Lynk, born January 22nd. I think that every decision you make around labor is deeply personal, and it’s not really anyone else’s business. If you don’t want to share your birth plan with others, you shouldn’t feel obligated to. But people will ask. And when it comes to sharing with other expectant moms, I think we’re all just looking for something to lean on – what should we expect? Are other moms as nervous as I am? Should I just do what everyone else is doing? When people asked why I wanted to do a natural birth, I didn’t feel like there was a way to explain it that didn’t sound judgmental. From the get go, most people were discouraging about my decision. But now that it’s all said and done, I know that there are plenty of expectant moms who are at least curious about natural birth, and I want to share my story. 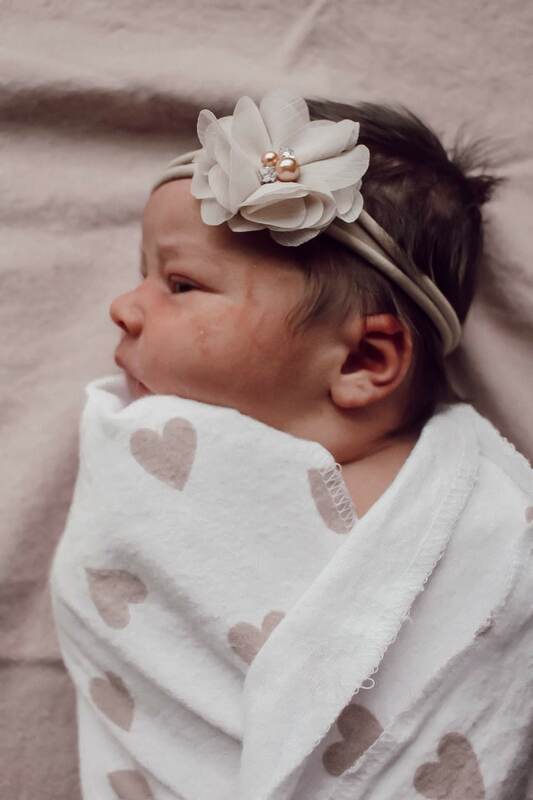 I don’t think I’m qualified to speak on all the reasons why I made my decision (from a medical standpoint) but my number one reasoning was this – I wanted to experience labor to the fullest extent, especially pushing. I wasn’t opposed to the idea of a c-section in case of emergency, but as long as getting to experience labor was important to me, I wanted to do everything in my power to reduce my need for interventions and do things the old fashioned way. This book from Mama Natural helped make the decision very easy. It broke down all the possible interventions that take place in a hospital setting and how to stay on track for a natural birth, but never discouraged me from giving birth in a hospital. A home birth was never an option for us. Bottom line: every decision you make about labor is between you and your doctor. There is no right or wrong way to have a baby. The end goal was always just to get her OUT. I was just very lucky that I didn’t have any complications or bumps in the road and was able to stick to my birth plan 100%. 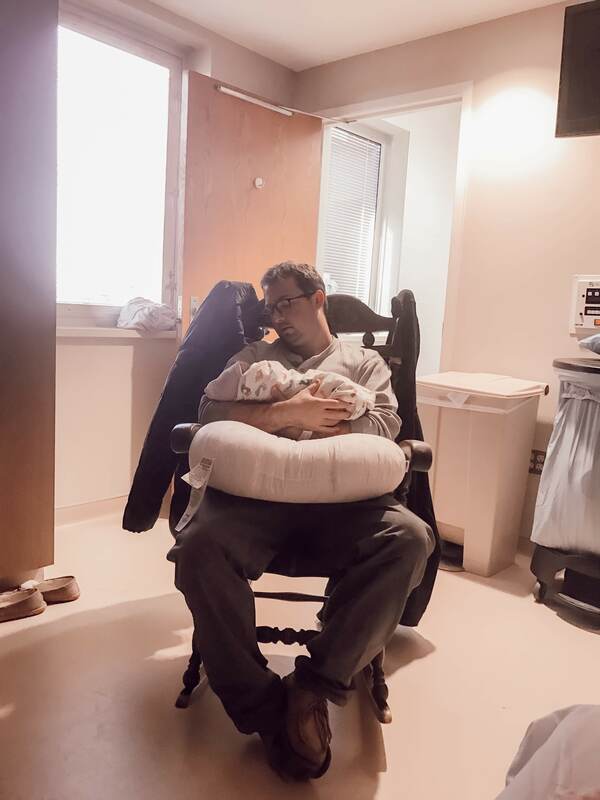 I’m sure this isn’t the end all, be all definition of natural birth, but this is what I envisioned for labor, and what I was ultimately able to make happen with the help of my OB team. Good, old fashioned vaginal birth. Riding out the contractions without the use of pitocin and other contraction stimulating drugs. What is Labor Really Like Without Pain Management? Let’s work backwards: now that labor is over, the recovery process is just the same as if I had used an epidural. Ultimately, my body did the same thing it would have done with pain management. So, I am sore as all get out, my entire lower body is swollen and puffy, and pooping is terrifying. Sorry, but also not sorry. I was in labor for a good while at home, but had convinced myself that it was still prelabor. On Annie’s due date, January 21st, I was having minor contractions all afternoon, but they were really starting to consume me. Even though I wouldn’t categorize them as painful (they were mostly just very uncomfortable) they started to really demand my attention. I had to stop what I was doing and just let it ride. Things really ramped up very suddenly at night. I had been tracking the contractions using a timer app on my phone, but not really paying attention to what I was timing. I figured I would just use them for reference when “real labor” was happening. Tanner walked into the bathroom at one in the morning to find me hunched over the sink. He checked my app and apparently I had been having contractions 4-5 minutes apart for nearly two hours. WOOPS. Time to go the the hospital! By the time we got settled in, they determined that I was already five centimeters dilated. Things were escalating very quickly. #1: Time passes very differently when you’re in pain. We overlapped with multiple shift changes at the hospital, so my nurses and OB changed from beginning to end. But my mom and Tanner were by my side the whole time. What they experienced was a little different from what I remember – while they were pacing the room for hours on end, I was in a total daze. We arrived at the hospital at around 2 am and Annie was born at 8:15 am. That’s a pretty fast labor as is, but I felt like we showed up and INSTANTLY had a baby. For Tan and mom, it probably felt like a long grueling night of just waiting. You would think that the pain of contractions would make time pass very slowly. But by the time I was 8 centimeters dilated, the contractions were so intense that I was practically passing out between each one. I was mentally and physically exhausted. And those brief moments of rest acted like a sort of twilight zone, blending the whole night into one hazy memory. #2: It’s a full body experience. Thanks to some unfortunate last minute changes in position, I was in back labor, which is apparently much more painful than the alternative back-to position that Annie had been in for so long. It felt like she was bearing down on my back bone with so much force. In order to get her to flip around, I needed to get on my hands and knees. I was promised that this would be more comfortable for me. It was not! I’m sure it might be for some people, but for me, it was all I could do to support the weight of my own body. My legs and arms were shaking, and my mom was working so hard to squeeze my hips together and massage my lower back. Once she had flipped, I was relieved to get on my back again and rock from side to side. That hard hospital bed felt so good on my lower back. When I was 10 centimeters dilated, my water STILL had not broken. I was warned that once my water did break, the contractions would get a lot more intense. It wasn’t that they would get stronger, but that there would be no cushion between she and I without my bag of waters. Sure enough, this was by far the most painful part of the entire experience. It required lots of arm strength to hold onto the bed rails, my legs and feet were pressing against literally anything around me (I think I kicked someone at some point.) And even my face and neck were fully engaged the entire time. But the good news is this was also the most short-lived portion of the entire night. From that point on, they were just getting me ready to push. #3: You will make some noises. It’s a little hazy for me, but one thing I do remember and that my mom confirmed is that I hummed my way through everything. In my head, I was screaming a little bit (a lot) but according to Tan, my mom, and my nurses, all I did was hum. Sometimes sing songy in the the beginning, and sometimes a deep groan like something out of a horror movie. The only time I actually yelled at any point was at the very last second, and that was just out of pure relief. #4: It will be instantly over, and you will forget. When I decided that this was the way I wanted to do things, I kept repeating the same affirmation in my head: you can do anything for 24 hours. 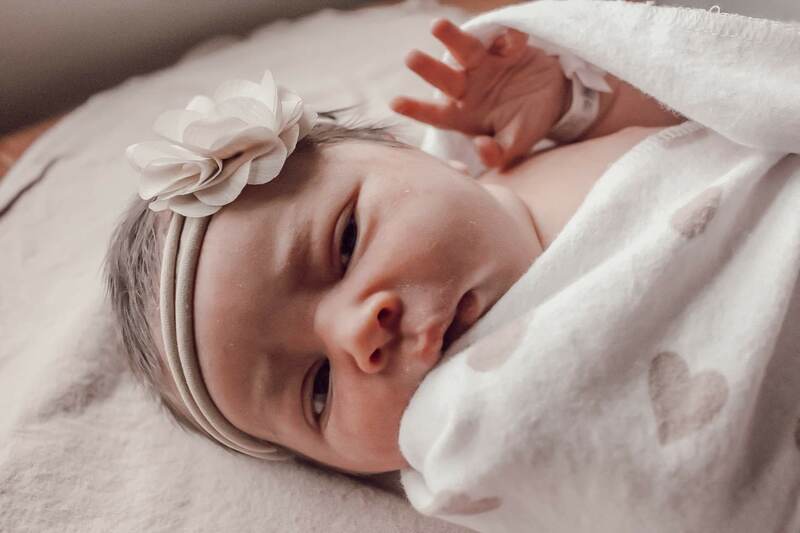 Turns out, it didn’t take that long to bring her into this world, which was a huge relief. But the second it was over, I didn’t feel anything. Without a doubt, getting stitches felt weird, and my first time getting out of the hospital bed was a struggle, even with two nurses and my mom helping me. But I didn’t feel any pain for about eight hours when it was over. It was like this wave washed over me and I was just so happy to not be in labor anymore. I was up walking around the room, helping pack up our things to move on to the postpartum wing of L & D.
Everyone always told me that you forget the pain you were in once it’s all said and done, but I didn’t believe them. How could you forget that type of pain? I’ve heard that labor is the equivalent of feeling eleven bones break at the same time, and I don’t doubt it. In the hospital, I can remember trying to put what happened to me into words, and thinking, “I should write this down.” By morning, I could not tell you what a contraction felt like. I honestly just don’t remember. I know that it hurt, but that’s all I can give you. Even though I haven’t experienced birth with a pain management plan like an epidural or IV pain medications, I don’t think that what I experienced is a whole lot different. I’m happy that I was able to reduce my interventions to decrease my chance of needing a c-section, and that I was fully present for my labor. I don’t look back on it with fear or regret. If you’re thinking of having a natural birth experience yourself, I think that there are two things you should remember. It’s okay if things don’t work out exactly according to your birth plan. Show up with intention, but with an open mind. A happy, healthy delivery is really all that matters. You can do anything for 24 hours. And hopefully, it’ll be less than that! 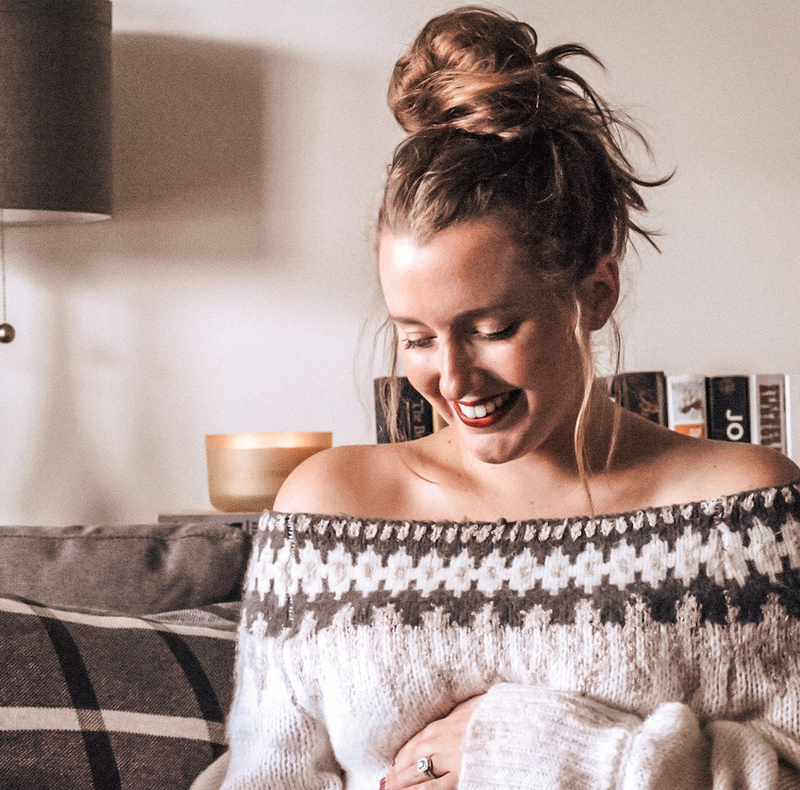 "My Complete Guide to a Maternity Wardrobe for Every Trimester"
"How to Create The Perfect Postpartum Care Package"